This month’s newsletter contains information about some IPSI-related side events at the upcoming CBD SBSTTA-22 and SBI-2 meetings, and a session at this year’s ISAP conference. The latest IPSI Information Booklet and Annual Report for 2017 was recently published and is available for download. We are also pleased to announce that the process of updating the IPSI Plan of Action has been completed, and the updated document is now available. We also have a reminder of the Call for Proposals for SDM, and an introduction to one of IPSI’s newest members, the Institute for Sustainable Development Strategy (ISDS) in Kyrgyzstan and a recent case study received from SWAN International in Chinese Taipei. The IPSI Secretariat is looking forward to taking part in two upcoming meetings under the processes of the Convention on Biological Diversity (CBD): the Twenty-second Meeting of the Subsidiary Body on Scientific, Technical and Technological Advice (SBSTTA-22) from 2 to 7 July, and the Second meeting of the Subsidiary Body on Implementation (SBI-2) from 9 to 13 July in Montreal, Canada. • Thursday, 5 July (18:15, Room A): “Can a landscape approach bridge livelihood, science, and conservation? The Satoyama Initiative and the science-policy interface”, organized by UNU-IAS along with the Ministry of the Environment, Japan, and the Ghana National Biodiversity Committee. • Tuesday, 10 July (18:15, Room D): “Financing Landscape Management Approaches: Replication and Upscaling for Biodiversity and Sustainable Development”, organized by UNDP, Conservation International, and UNU-IAS. • Thursday, 12 July (18:15, Room C): “Mainstreaming Biodiversity in Production Landscapes and Seascapes: Integrated Approaches in Design and Implementation of National Biodiversity Strategies and Action Plans (NBSAPs)”, organized by UNU-IAS, the Secretariat of the CBD, the Ministry of the Environment, Japan, and the Ministry of the Environment of Estonia. The IPSI Secretariat at the United Nations University Institute for Advanced Studies (UNU-IAS) and the Institute for Global Environmental Strategies (IGES) are pleased to announce the hosting of a parallel session on “Sustainable Production Landscapes and Seascapes for Biodiversity, Human Livelihoods and Well-being” during the tenth International Forum for Sustainable Asia and the Pacific (ISAP2018), on Thursday, 19 July 2018 in Yokohama, Japan. The first IPBES Regional Assessment for Asia and the Pacific released this year identified the trade-offs between intensifying and increasingly homogeneous food production and biodiversity as one of the major sustainability issues for the Asia-Pacific region. On this basis, and informed by the Satoyama Initiative case studies on “sustainable livelihoods in socio-ecological production landscapes and seascapes” presented in the recently-published third volume of the “Satoyama Initiative Thematic Review”, this session seeks to inform policymakers and experts about effective integrated and transdisciplinary approaches to ensuring production and human well-being in harmony with nature at the landscape and seascape level. In this way, it is expected to contribute to the collective efforts to achieve global sustainability goals including the CBD’s Aichi Biodiversity Targets and the SDGs. For more information on ISAP2018, please see the IGES website here. The latest information booklet about IPSI, including our 2017 Annual Report has now been published. The booklet contains background and up-to-date information about IPSI for current and prospective members, including several examples of case studies and collaborative activities by our members. The Annual Report section gives an overview of our current membership, major events and announcements from the year, and updates on collaborative activities, communications and others. 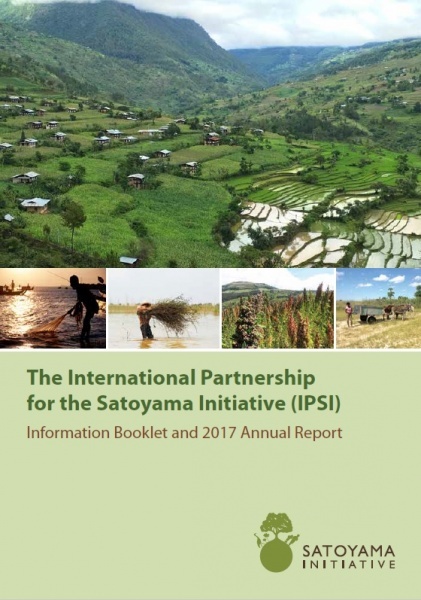 This booklet is an excellent resource for anyone interested in IPSI and our activities, and we encourage all readers to take a look and share it with anyone who may be interested. The booklet will be available at IPSI events this year, and can also be downloaded here. The IPSI Steering Committee recently confirmed the finalization of an updated IPSI Plan of Action, which will be an important guiding document for the partnership as it proceeds toward the end of the UN Decade on Biodiversity in 2020. The new document contains a number of minor updates to the IPSI Plan of Action to reflect developments such as the adoption of the UN Sustainable Development Goals (SDGs) in 2015. 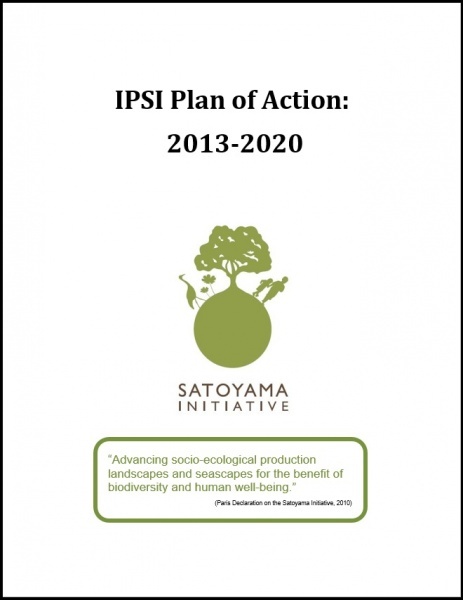 The IPSI Plan of Action 2013-2020 is available for download on the IPSI website here. We would like to gently remind readers of the call for proposals for the Satoyama Development Mechanism (SDM) 2018, which was recently sent out through this mailing list. Around six projects that fall under any of four SDM project types will be selected, and will be provided with a maximum support of approximately 10,000 USD for their implementation. Please submit project proposals to the SDM Secretariat by email at sdm@iges.or.jp. The deadline for applications is Friday, 20 July, 2018. Eligibility for applicants is for IPSI member organizations only. Proposals for implementing IPSI collaborative activities will be highly welcomed. Please refer to the IGES website here for further details. Institute for Sustainable Development Strategy (ISDS) Public Fund is a non-government organization established in 2012 in Kyrgyzstan. The mission of ISDS is to promote sustainable development through traditional and new approaches to solve ecological, economic, and social problems by providing financial, consulting, organizational, and informational support to local communities. ISDS promotes biocultural diversity through providing help to local communities to preserve traditional knowledge (traditions, customs, values and methods) by increasing their capacity and skills, and by creating a network of local communities and custodians of traditional knowledge (TK) for sharing experiences and best practices. During 2012-2018, ISDS has supported over 95 local initiatives with participation of people from over 90 villages in four provinces of Kyrgyzstan. During this period, over 5,000 young people obtained skills and knowledge in the biocultural diversity (BCD) field. “Nasiyat” national network on BCD has been created and became an integral part of a regional BCD network to promote BCD values in Central Asia and beyond. More detailed information about ISDS and its activities can be found at its website here. The IPSI Secretariat recently received a case study from partner organization SWAN International in Chinese Taipei, titled “Converting pests into allies in tea farming — a SEPL case in Hualien, Taiwan”. Eco-friendly farming (EF) has been practiced in some tea plantations to maintain populations of the small green leafhopper. 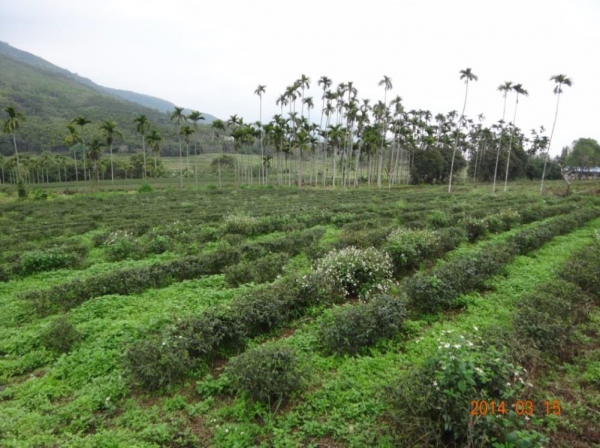 Previously considered a pest, this insect is now an economically important asset because tea shoots and young leaves “damaged” are now harvested to make a high-priced honey-flavored black tea that is welcomed in the market. However, the socio-economic and ecological impacts have not been examined. This study measured and compared insect (and other arthropod) and vertebrate diversity at three tea plantations with EF practices and three plantations with conventional farming (CF) practices, with interviews of relevant stakeholders to collect information on the socio-economic effects of EF versus CF practices. Our results showed that tea plantations with EF practices not only generate higher economic return but also conserve higher biodiversity.